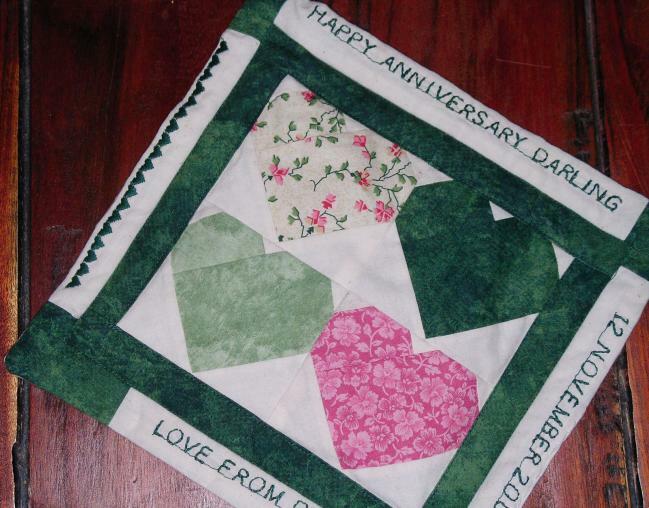 I made this little quiltlet (8 inches square) on my dream sewing machine, my Janome 6500P, that my husband gave me for my combination birthday-Christmas present a few years ago. She’s beautiful, trimmed with purple (my happy colour), and her name is “the Fine and Mighty Marie”. I had always had mechanical machines, and I never thought I would have such a grand computerized machine as this! 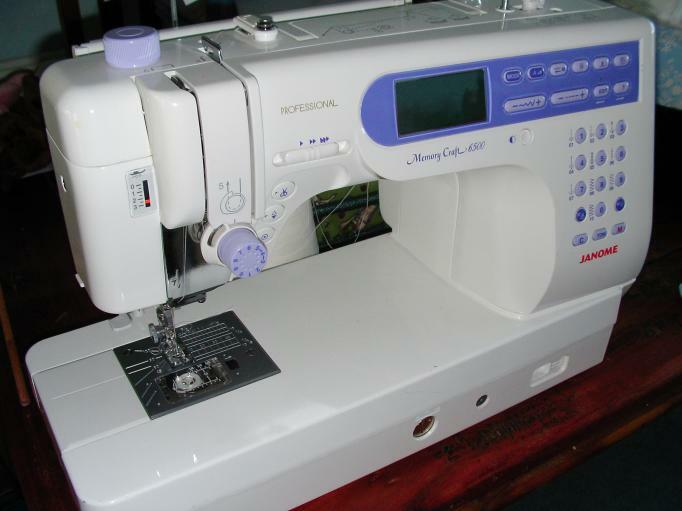 I love everything about this machine, and especially the alphabet stitching feature. It’s so much fun for projects like this, and I have also made quilt labels with it. I have even used it to put my daughters’ names on their PE clothes and school bags! Happy Belated Anniversary!!! 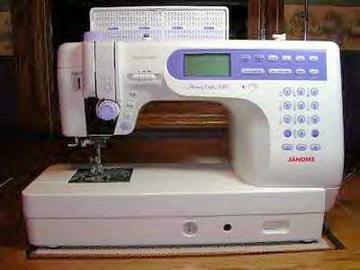 I love your quiltlet and the lovely embellished embroidery around the border! I hope you and your husband have many more years of love and happiness!